Leeco to soon launch Leeco Smart TV and a virtual reality headset in India in June. Leeco managed to surprise the Indian tech market with the launch of three new mobile phones and the concept of a driverless car to make. The company had also exposed the 4th generation smart TV. The Leeco company started operations in India from January and is looking at the scale of things here. A new report suggests that the third generation Leeco TV will be launched soon in India. The report adds that the company is waiting for the June-July to launch new Leeco TV in India. Almost at the same time, Leeco will launch its new virtual reality (VR) headsets in India. The report added that the 4th generation of Smart TV of Leeco will have some extra important features for the TV lovers. 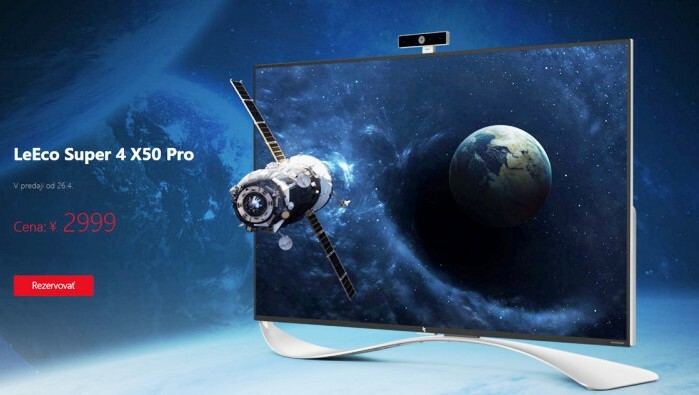 Leeco already has a connection with Eros now in India and we believe that there are many other offers, which will be announced at the launch of Leeco new 4th Gen TV sets. TheIndian Micromax has also big plans for the television industry. In a recent press conference, Micromax has introduced and mentioned how they plan to position it as an electronic entertainment company with the introduction of a new brand logo. They offered smart TVs for some time and are now looking to consolidate its position in this ever-growing TV market in India.